Discover Montreal with its River and Islands throughout an exclusive itinerary including a fresh and local cuisine, a friendly service, a live musical performance, a well selected music playlist and a three-act immersive experience. The delights of summer, Montreal style! 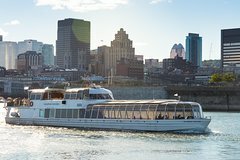 Departure at 7pm from the Jacques-Cartier Pier in the Old Port of Montreal, the most romantic city district.